ELIZABETH CITY, NC - New EPA fuel economy numbers are in for the 2015 Jeep Renegade and they are looking great! Typically when you think about Jeep fuel economy, you know that the SUV isn’t not going to offer what a small car would, until now! The new 2015 Jeep Renegade gets 31 MPG Fuel Economy! When paired with a front-wheel drive 2.4-liter engine and a nine-speed automatic, the 2015 Jeep Renegade is rated at 22 MPG in the city and 31 MPG on the highway, for a total combined fuel economy rating of 25 MPG! You know what this means? You can hit the trails without having to worry when you’ll need to fill up your tank! 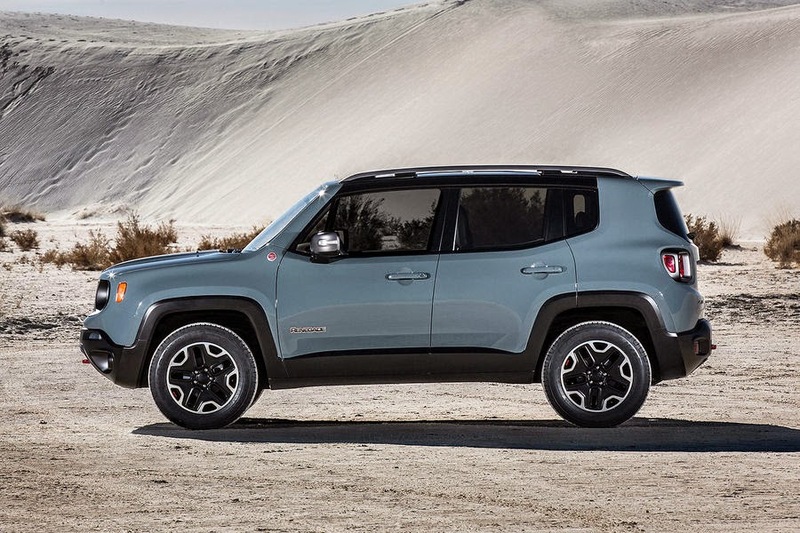 What sets the 2015 Jeep Renegade apart from the rest of the pack, is that the SUV is available with a beastly 180 HP 2.4-liter inline four-cylinder engine, which is what you’re looking for in a Jeep anyways (unlike the engines in competing small SUVs). Plus, if you opt for the additional features on the Limited and Trailhawk trims, this 180 HP will come standard. While we haven’t yet heard what kind of fuel economy the standard 160 HP 1.4-liter turbocharged engine will offer, this initial insight into the 2015 Jeep Renegade’s 31 MPG Fuel Economy Rating with the 2.4-liter engine gives us a very good indication of where the rest of the Renegade lineup is headed. Great fuel economy PLUS a powerful engine, we’ll say yes to that everyday! When it goes on sale later this year, the 2015 Jeep Renegade will start at under $18,990 when paired with the 1.4-liter engine. This truly makes it an SUV for anyone – the right price, the right capability, and the right fuel economy. If you’re ready for an adventure that won’t hurt your bank account, get ready for the 2015 Jeep Renegade’s arrival at our Jeep Dealership! Perry Auto Group has two dealership locations to serve you better at 1005 W. Ehringhaus St, Elizabeth City, NC, 27909 or 1001 Halstead Blvd Elizabeth City, NC 27909. Stop in for any of your auto or community needs, or feel free to give us a call at (252) 338-9100.